X10-Geo is the only 3D data analytics and analysis software that seamlessly integrates statistics, graphs, and 3D to turn your spatial data into valuable insights. Find those hidden “gems” effortlessly and save hours of tedious work with our interactive workflows and automated reporting. 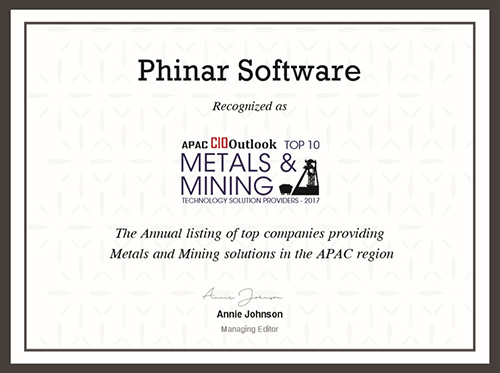 The Phinar team is very proud to have been chosen in the top 10 Metals and Mining solution providers in the APAC region, along companies such as Telstra, ABB and Trimble. Easily load and analyse data from a variety of types and formats, including Csv, SQL Server, Acquire, GMP. 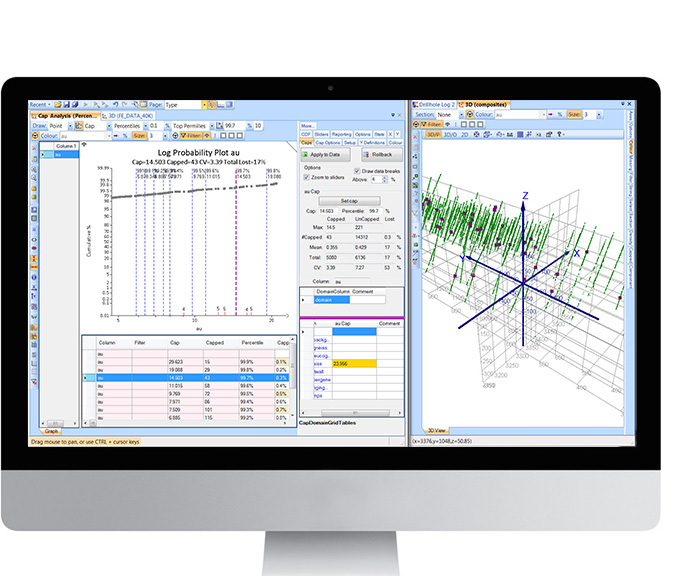 Use powerful and integrated statistical, graphing, and 3D tools to quickly and intuitively relate descriptive statistics to spatial trends for new insights into your data. Unprecedented 3D data analytics for multi-element and multi-domain data, and optimisation and simulation results. 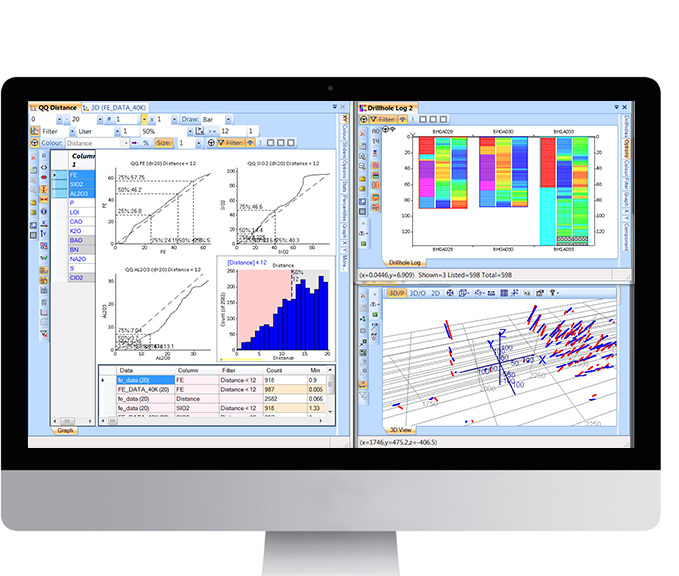 Compare multiple data sets with a rich set of standard graphing, analytics and statistical tools. Rapidly create and re-use your own graphs and workflows, reducing the time for analysis and report preparation by up to 90%. Free yourself from disconnected, time consuming and error prone solutions like Excel. 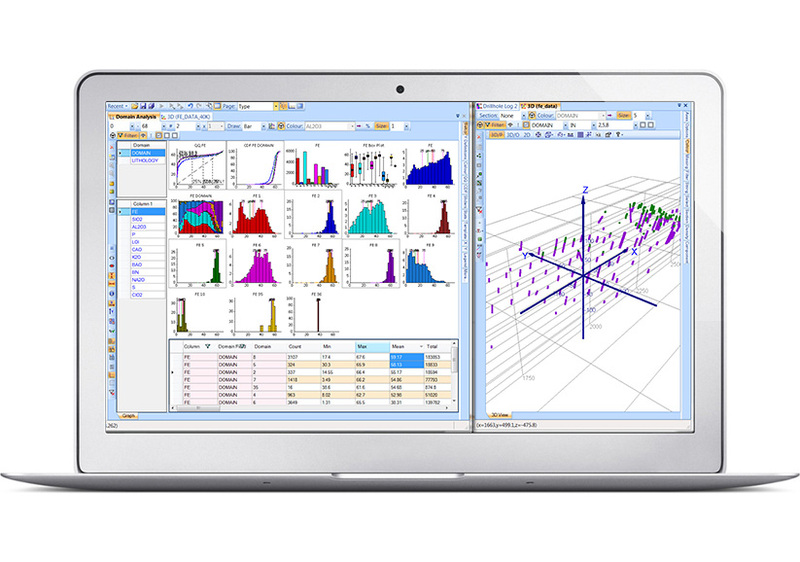 Unlike other products, X10-Geo is custom-built for rapid and powerful spatial data analysis. It is integrated and scalable, with no data size limitations, no copy-paste of data, and offers lightning-fast flexible statistics and analytics, all within your data’s spatial context. 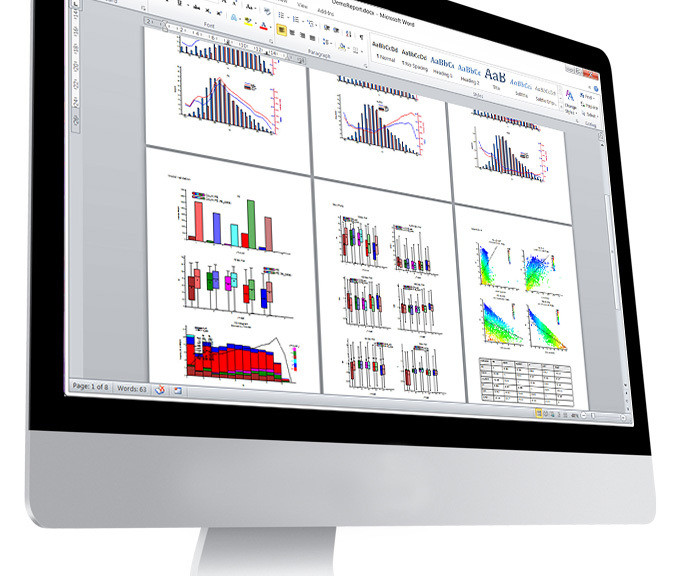 With X10-Geo, painstaking copying and pasting graphs into reports is a thing of the past. Now, with X10-Geo, you can literally copy hundreds of beautifully formatted graphs to your report – with one click! This frees up valuable time for you to add real value by applying your expertise to data analysis and report writing. Users can create their own dynamic workflows to leverage X10 analytics, 3D visualisation and reporting with their own and any 3rd party tools (like GSLIB, Python scripts, Fortran EXE…) to quickly enhance the power of the system for you! 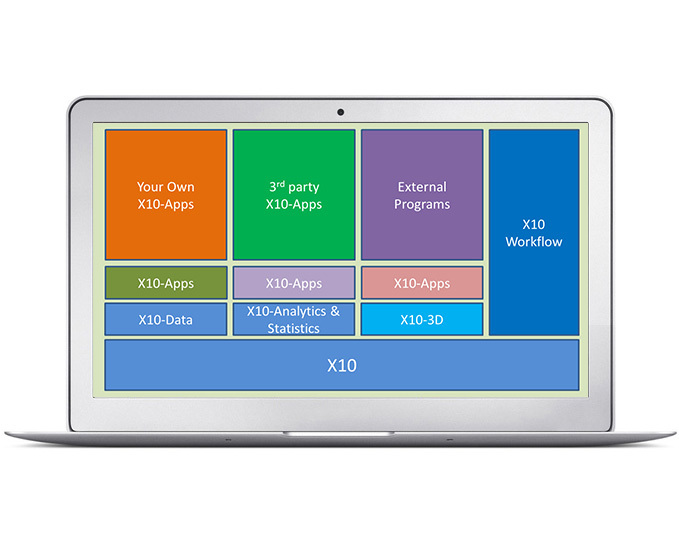 The X10 and X10-Geo platforms are also fully extendable by 3rd party developers, to create cool value adding X10 apps. If you’re a developer, or have an idea or existing technology, and would like to plug-in your concept or application into the X10 workflow, platform and sales and marketing channels, contact us.